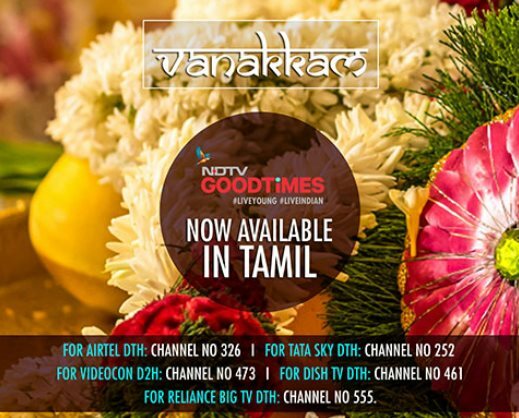 NDTV Good Times, India’s youngest lifestyle channel from NDTV Group has announced the launch of Tamil audio feed for the channel and thereby expanding its reach to Tamil speaking viewers in Tamil Nadu and rest of the country. With the launch, the channel is now planning to expand its footprints in regional markets, starting with Tamil Nadu. The channel will initially focus on delivering content from its existing library across Food, Travel, Wellness, Weddings, Style and Reality, showcasing all popular properties like Band Baajaa Bride, Highway On My Plate, Chakh le India, Vicky Goes Veg , Bachelor’s Kitchen, Luxe Interiors, Get The Look, No Big Deal, Heavy Petting, Yogasutra to name a few.